Car Care like a PRO ......made EASY! Avoid Repairs and Save money! Tracks Maintenance, Repairs, Parts, Fuel Usage, Additions/Improvements, Operating costs and more. Includes descriptions, dates, associated costs, parts, images, invoices and much more. Easily configure each of your vehicles according to your manufacturers recommended car maintenance / service schedule or create you own. See detailed Technical Specifications for your specific vehicle directly from the manufacturer. Keeping up with your car maintenance schedule is critical in keeping your vehicle in good running condition and avoiding costly repairs in the future. 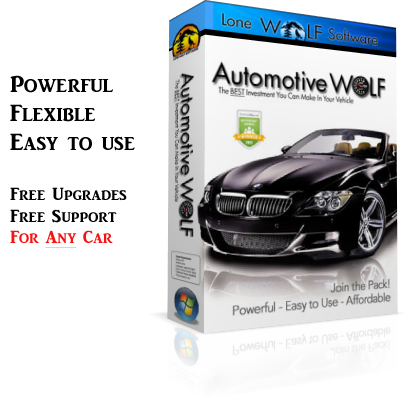 Automotive Wolf will remind you of scheduled maintenance when you start the program or boot-up your computer. You can also configure the software to email you when maintenance is Due. Set reminders for any maintenance requirement. When you complete a task it is automatically rescheduled for you. Automotive Wolf monitors your driving habits as you enter maintenance, fuel and other records and constantly recalculates the average mileage you are driving to allow accurate predictions of when service is due. Includes a vast number of Car Care Tips and advice from expert ASE certified mechanics. Includes extensive information on most automotive components allowing you to research almost any part on your vehicle that needs repair. The more knowledge you have the less likely you are to be scammed! Includes a Trouble-shooting database of "symptoms and causes" that can provide valuable information on what may be wrong with your vehicle. Performs an in-depth cost analysis that shows you when and where your money is being spent, how much you have invested in the vehicle, and when you may want to consider trading it in. Automatically calculates average Miles Per Gallon (MPG) and displays it in graphical form so that you can monitor fuel usage trends. 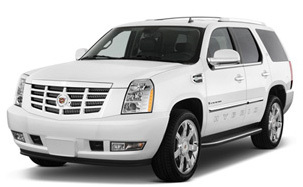 Check your vehicles Fuel Economy and watch for trends that can alert you to potential problems in the future. As you enter Maintenance and Repair records a Parts database is automatically compiled for each vehicle. Easily search your Parts List to determine what parts have been replaced previously. Lets you know the overall condition of your vehicle at a glance. Simply click on the gauge in the program to display a complete list of the status of each maintenance requirement you have configured for each vehicle. 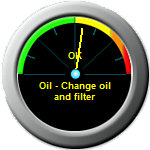 The gauge reflects the condition of your vehicle based on the maintenance requirements you select. Functional gauges that display the status of any maintenance requirement you select or create. Create monitoring gauges for any vehicle maintenance requirement that you want to track closely. Click on a report above to view. Many other reports included. Actually increases the resale value of your vehicle. When you decide to sell your vehicle you will be able to provide proof of all car maintenance performed to the prospective buyer, including proof to service centers when a repair was last completed in case the part is still under warranty. Quickly print out a "What's due" Check List for your mechanic. Providing a check-list of what service needs to be performed is a great way to avoid unnecessary work from unethical shops. Track as many vehicles as needed including entire fleets if needed! Designed to be completely network compatible so that you can share the data between all users on your network. Includes an Auto-Upgrading feature that automatically checks for new versions and downloads it for you. It's always FREE and always Up-to-Date!